It seems to be the season for expensive smartwatches, what with the more expensive edition of the Apple Watch said to be costing a few thousand pounds. 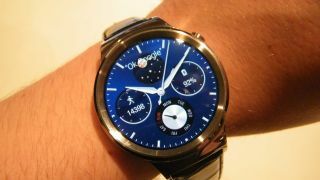 Huawei's recently unveiled Android Wear timepiece is also going to be on the pricey side according to new reports. A source speaking to BGR says the premium smartwatch is going to retail at $1,000 dollars exactly (about £655, AU$1,280). That's a lot of cash to part with for a watch, even if it is one of the best-looking models yet. With Android Wear watches not yet shifting in significant numbers, putting one on sale at that kind of price isn't likely to help the situation. It's the highest-resolution Android Wear smartwatch to be announced so far (check out our MWC hands-on for more details) and with sapphire glass and a stainless steel unibody it certainly has the premium materials to justify a price towards the top end. The most expensive Android Wear device to date is the LG Urbane, which is going to eventually come in somewhere near the £299.99 mark (around $460, AU$590) when it goes on sale. That's pricey but still less than half the rumoured cost of the Huawei Watch. If you're desperate to get your hands (or wrists) on this smartwatch from China, we'd advise you to start saving now. When we get official confirmation of the price from Huawei we'll pass on the news.